All those who are members of Microsoft’s renowned online gaming community, Xbox Live, will definitely be happy to know that on official iOS app has just hit the App Store. However, it had not been clear immediately whether Microsoft would port the app to Apple’s iOS. The Xbox Live integration was basically a Windows Phone feature for some time that Microsoft took pride of over other mobile platforms. However, Microsoft has also been aware of the millions of the users all over the world with iOS devices in their hands. So, the software giant decides to offer its Xbox Live app to those using iOS devices. 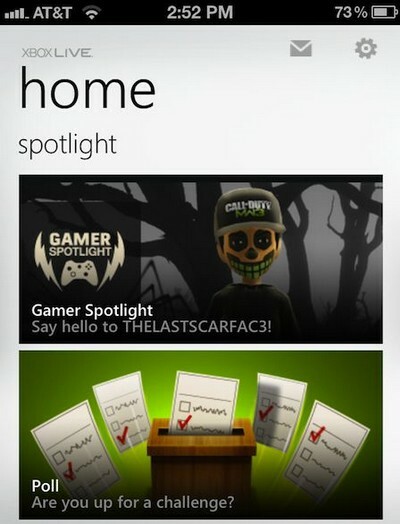 As soon as you sign into your Xbox Live account, you will be directed to home screen. Xbox Live app is available for users of both iPhone and iPad. The user interface is extremely appealing and very much alike to renowned Windows Phone Metro UI. This is certainly a smart move from Microsoft. The company is aware of the popularity of its Xbox Live and with this release Microsoft has managed to reach a massive iOS crowd as well. The good thing about Microsoft’s iOS app is that it is absolutely free and is available for download in the App Store. If you are willing to give it a try, follow this link below to download it.